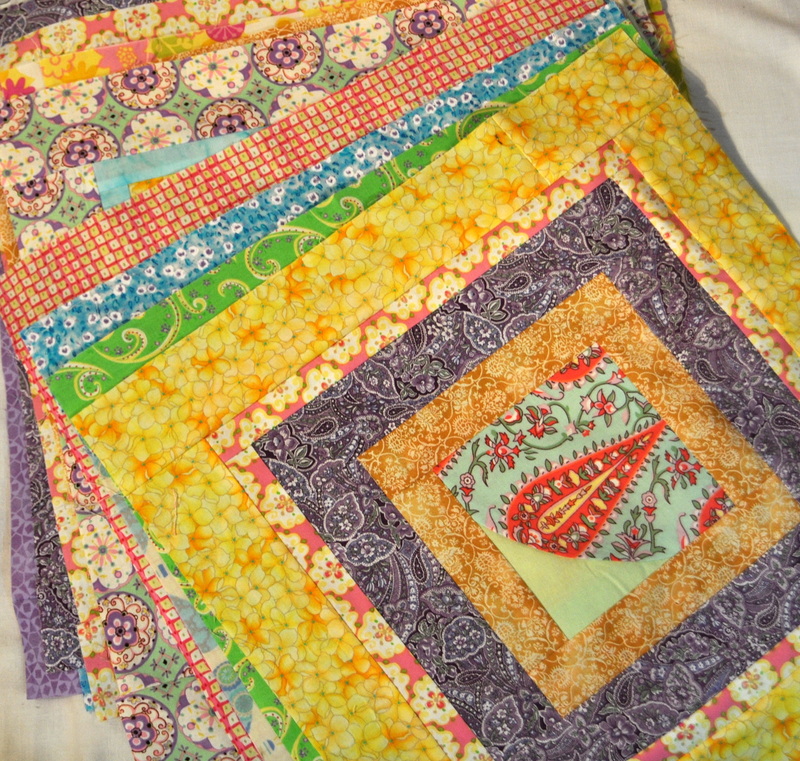 As if I didn’t already have enough projects, I started two new quilts this week. As usual, I have created my own busyness. Thankfully, however, I find this type of busyness very stress relieving rather than stress causing. 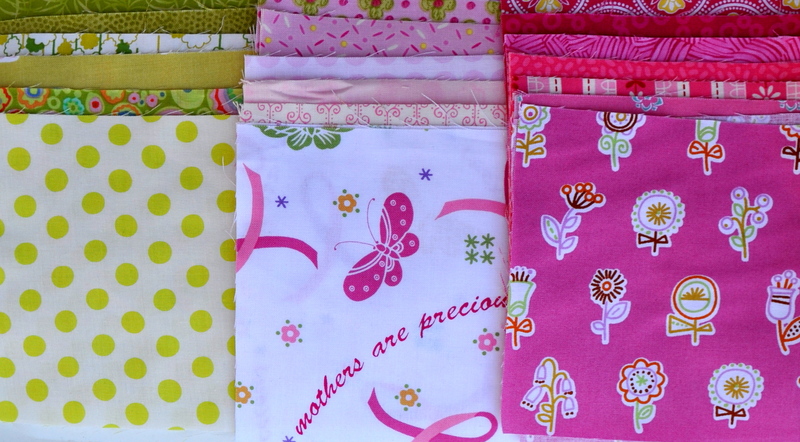 First I picked up this stash of fabric from a member of my guild. 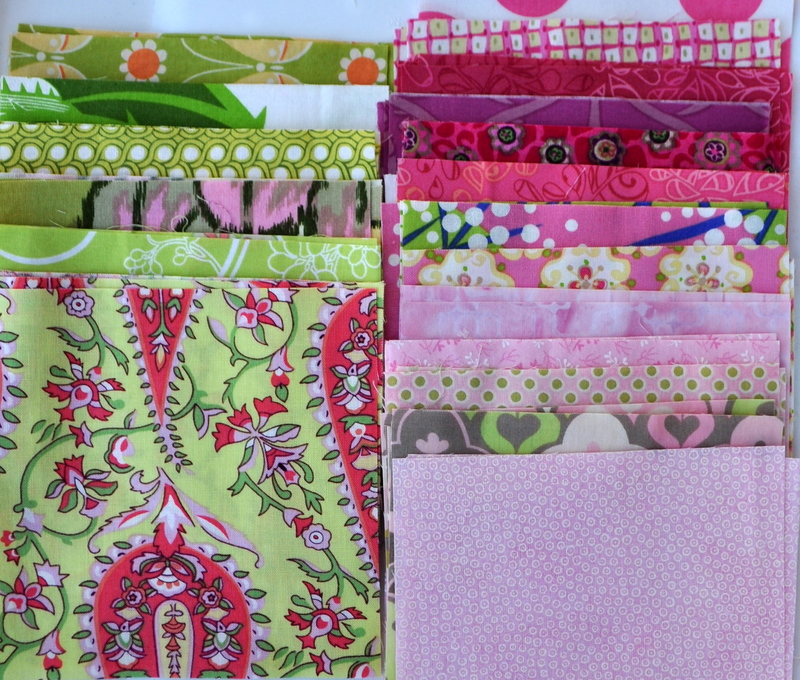 She had cleaned out her stash over the holidays and her request was that if you take any, then you use it to make a charity quilt. Our guild makes and donates charity quilts to the foster care program in the county. So I took what ended up being approximately 4 yards of fabric, and decided to make a lap quilt. Some of these are already made blocks, some are smaller than a fat quarter, and there are two pieces that are just over 1 yard in length. I also decided that I have to make it right now or I may never get around to it! I just finished piecing all the squares last night… today after work I’ll trim them up, cut them into fourths and lay them out to determine how I want to rearrange them. Hopefully I’ll be sharing another finished quilt with you next week. I haven’t gotten as far on the second quilt I started. 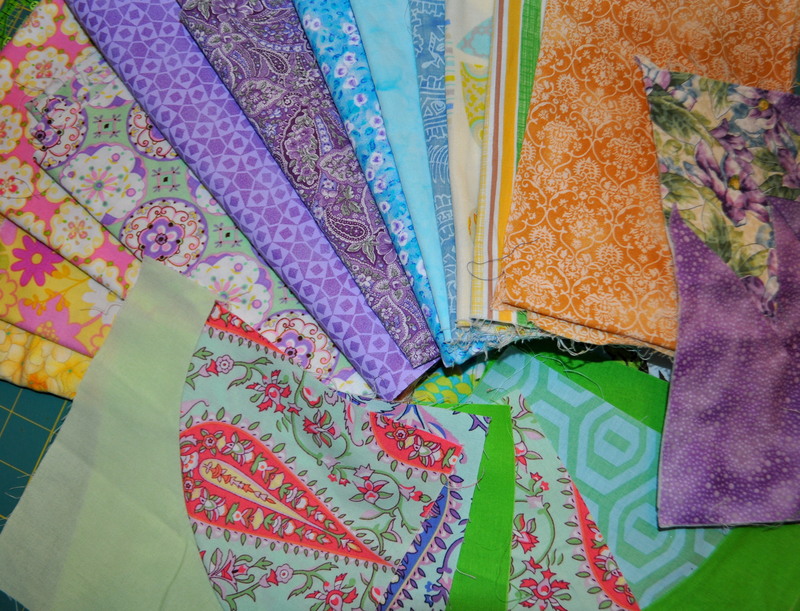 I picked up two charm packs last fall during a shop hop, which gives me four 5-inch squares of each of these fabrics. Well, that in itself isn’t enough to make a lap quilt. So I either need to add a neutral, such as cream or white, or more fabric. I have decided to follow what Aspen Hill did here with her charm pack. This means I need to add both white AND more fabric. 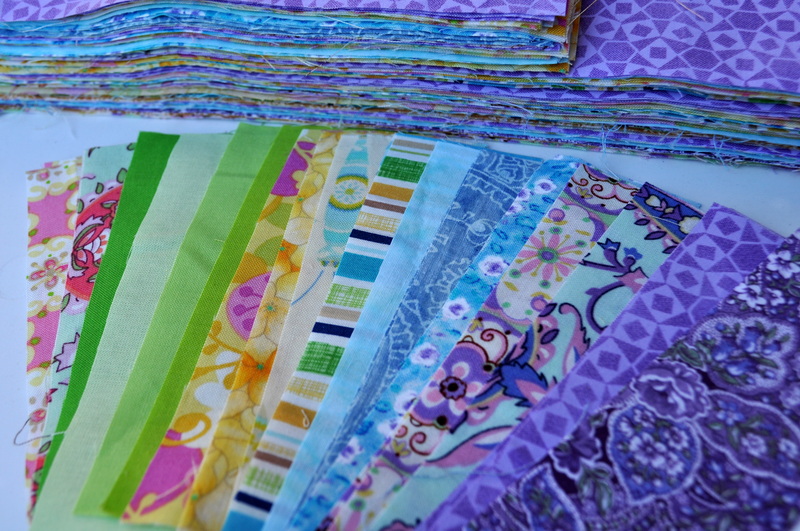 So I went through my stash and found fabric that I think matches and cut an additional 74 5-inch squares. This entry was posted in Quilting/Sewing and tagged bento box, charity, charm pack, foster care, quilt, quilting, scrap, scrappy, stash by monkeyneedle. Bookmark the permalink. Wow, that’s a lot of cutting! The bento box looks great so far. Love that pattern! I doubt you’re slow. I like to sew like I drive — with the pedal to the metal. And we did have a 3-day weekend so I was able to get more done than usual. You have lovely fabrics in you stash.